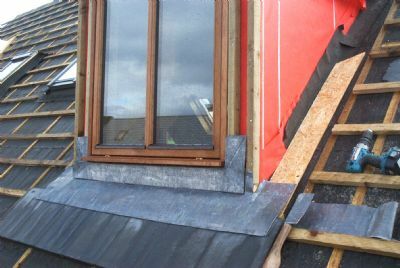 The roofers find a workaround to a problem and get the first Dormer window leaded and sealed-up. 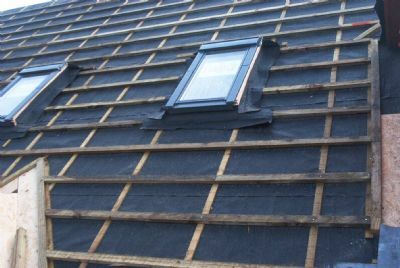 Meanwhile, the north-facing roof is battened down and ready for the tiles (which hopefully arrive in the morning). 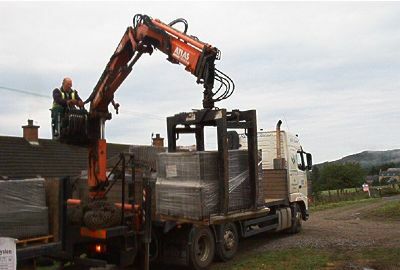 Another day another delivery - this time the roof tiles and fittings (10 pallets). A fairly slow day in terms of coverage but lots of fiddly bits completed, along with the front porch roof. 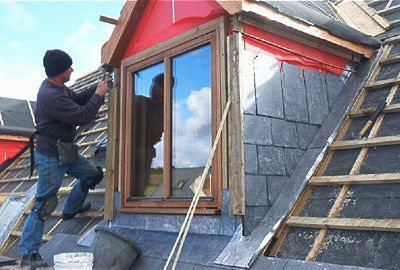 Jamie in action fitting the slates on the sides of the dormers. 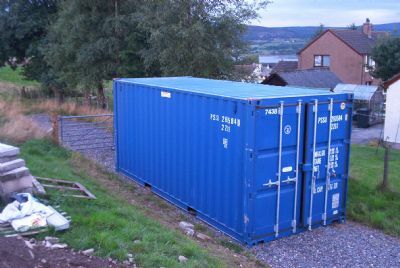 We are the proud owners of a shiny new 20' container (well we are renting it actually). 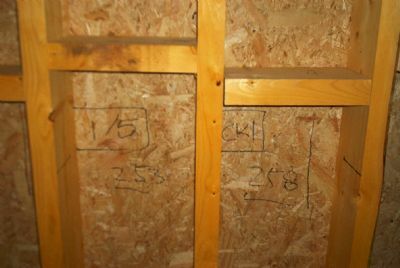 It will be used to store much of the items needed for the internal finishings (insulation, flooring, baths, etc.). 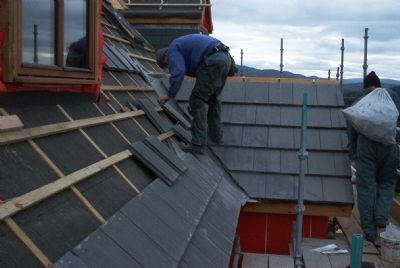 The roofers continue leading and tiling the dormers, as well as loading the roof/scaffolding with hundreds of tiles. Meantime I make a start on the electrics (maybe Dan Brown will be able to crack the code).